Every year, breast cancer is diagnosed in hundreds of thousands of people across the country, but its effects are felt by millions of people whose friends and family members are dealing with the disease. 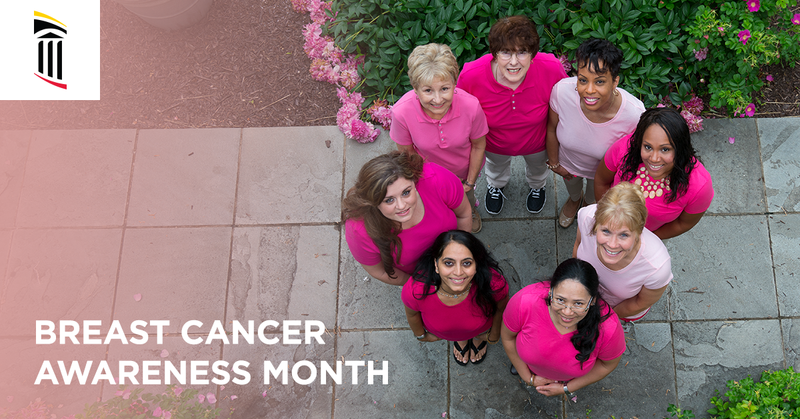 It’s why we make a point of recognizing Breast Cancer Awareness Month every October, and it’s why it’s so important for everyone to learn the risk factors, the warning signs, and the treatment options available. We’re sure you’ll hear plenty about it this month. So much, in fact, that you might miss some important facts about breast cancer along the way. But if you only take away a few key items this month, here’s what we think you should know. According to the latest data from the American Cancer Society (ACS), nearly 270,000 new cases of breast cancer will be diagnosed in both men and women by the end of 2018. It also estimates that over 41,000 people will have passed away due to it. And in Maryland, ACS data indicates that upwards of 10,000 people will succumb to the disease this year alone. These sobering statistics mean that, even after all this time, breast cancer is still among the most common and dangerous forms of cancer. The National Breast Cancer Foundation notes that one out of every eight women in the United States will be diagnosed at some point in her lifetime, but there are some contributing factors that can increase or decrease a person’s level of risk. There are numerous other lifestyle factors that may influence your risk as well, so check out the ACS website to learn more. And be sure to talk with your primary care provider if you have any questions or concerns. Like any form of cancer, early detection is crucial for a patient’s diagnosis. When it’s found early, breast cancer can be treated in one of several ways outlined below, but treatment options are more limited the further the cancer progresses. Although awareness efforts have gone a long way to promoting the benefits of mammography and early detection in our own state, ACS reports show that just over 75% of women over the age of 40 received a mammogram in the past two years. That means that nearly 20% of women in the age group most affected by breast cancer didn’t have the benefit of early medical imaging detection should issues have arisen. Visit the Centers for Disease Control and Prevention website to learn more about each type of treatment. In just a matter of months, the Julie and Bill Dotson Center for Breast Health will open its doors at the UM Charles Regional Medical Pavilion in La Plata, MD. Led by respected surgeon Dr. Eleanor Faherty, this vital multidisciplinary center will serve as the hub for breast care and breast cancer treatment in Southern Maryland and beyond. Physicians specializing in surgery, medical oncology, and radiation oncology will provide compassionate care from one central location. Thanks to a gracious and generous six-figure donation from Charles County’s own Julie and Bill Dotson, as well as significant contributions from other members of our community, construction is well underway, and its opening is planned for 2019. Visit our website to learn more about this practice, and be sure to follow us on Facebook for the latest updates and information regarding the upcoming grand opening. 30% of those diagnosed with early breast cancer will have a reoccurrence to stage 4 . This is why access to PeT scans and follow up are important for men and women diagnosed .